The South Lebanon town of Bint Jbeil which saw heavy fighting during the 2006 war with Israel. 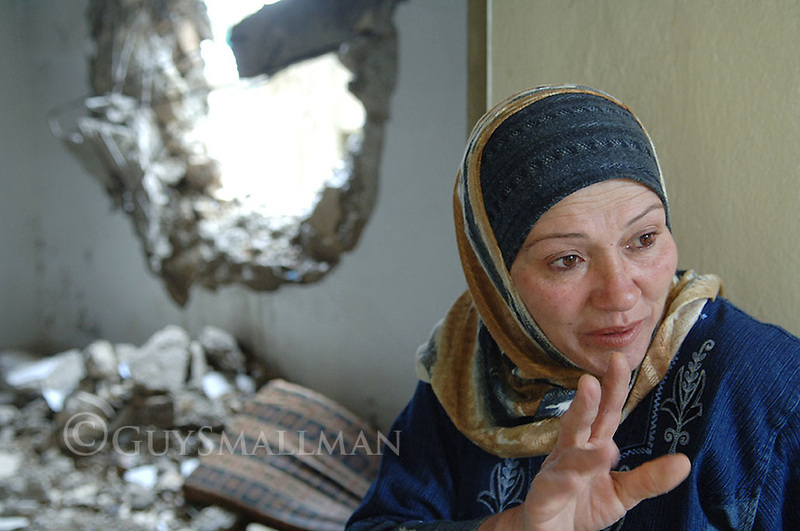 Local Resident Fatan Baydoun in the ruins of the town. Her house was destroyed. The bodies of 3 pensioners were found in this room after they had been there for 21 days. Another pensioner in trapped in the next room survived the fighting despite the smell emitting from next door.